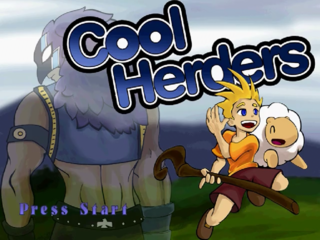 Cool Herders is an unlicensed Sega Dreamcast game developed by HarmlessLion and published by GOAT Store Publishing in 2005. This game consists of collecting the most sheep in a round. The player who has more sheep or the highest score wins. Main article: Cool Herders/Magazine articles.